UUMC dedicated its new sign at the corner of Trinity and Washington in University City, as members gathered round the sign after Sunday worship, December 9, 2018. The new sign witnesses to who we are and signals that we are active in our mission. A pop-out image of our congregational logo. Per becoming a Reconciling Church, a pop-out image of the LGBTQ flag. The new sign is closer to the street corner, and has larger lettering and clarity than prior signs. One sign dated from 1956, the other from the 1990’s. The project was funded by major support from the UUMC Memorials funds, supplemented by part of a grant from the Missouri United Methodist Foundation (MUMF), gifts from individuals in the congregation over and above their estimated giving, and the operating budget. The process started in April 2016, with Abbie Telander’s Communication Plan, which pointed out the deteriorating interiors of the two existing signs. Tom Mitchell wrote a grant request to MUMF to fund most of the Communication Plan. MUMF granted about 2/3 of the requested amount, approved November, 2016. The grant terms required us to provide the additional 1/3 from within the church, which was done by a quiet campaign for donations above and beyond giving estimates. This was done. In 2017, UUMC worked on reviewing specifications for signage for UUMC, evaluating the old signs and looking at other church and institutional signs in the area. Many opinions were expressed and considered, and designs vetted. That resulted in focusing on a new sign to replace both older signs. Renovating the old signs was somewhat cheaper at best and a nightmare at worst. A renovation would have left us living with shortcomings of the signs in terms of placement, legibility and ability to give witness to who we are now. A proposed design for a new sign was drawn up and submitted for quotes. None of the vendors responded, as our budgeted amount (from the Plan) was around 20-25% of what our design would cost! Work with vendors with a larger budget, and if possible, trimming back sign costs. Working on sources of funding. We began to work with SOI Signs, which was experienced with church signs over a period on about 12 months. We drew up a plan for funding the sign to the quote, involving use of Memorial Funds, the small operating budget item, and a second quiet campaign for congregational donations. In 2018, the contract was signed, the funding finalized, permits negotiated, and construction and installation begun. The 1956 sign was sold to another church! The landscaping for below the body of the sign was deferred until we could see the sign in place, and we cleared our proposals for it with University City. On August 23, the UUMC Leadership Team approved the first-ever, written covenant with the UUM Preschool; the Preschool previously approved the latest version. This Covenant aligns responsibilities and accountabilities so that UUM Preschool and UUMC can continue to thrive. It provides a framework for communication and joint decision making but is not intended to provide a complete description of daily working relationships. This culminates a three-year effort deemed prudent because the Preschool has operated under the UUMC legal entity since the Preschool was founded in 1960. Thanks to the Leadership Team and the Preschool Board for their work on this covenant. After the 5/05 potluck, many members provided their ideas to help the UUMC Leadership and Ministries Teams determine the church goals into 2019 and beyond. The visioning was two pronged: 1) To provide the UUMC Leadership Team with ideas to develop the church goals for July 2018-June 2019 and beyond and 2) to help the UUMC Mission and Social Justice Team determine the direction of our “Healthier St. Louis” theme for the coming year. Reaching across ages, nations, sexual orientations, etc. Each area received some support with the strongest interest of improving early childhood and improving economic opportunities for African Americans in St. Louis. The entire church thanks everyone for their involvement during this important planning effort. In July, when the UUMC program year starts, the teams will use these ideas to identify the church’s specific goals and approaches for the coming year. After those are formalized, we will share them with the UUMC family. UUMC received fifty-two (52) Estimates of Giving for the 2018 fiscal year totaling over $287,500; that's about $7000 less than the 2017 estimates. Increased giving, plus fourteen (14) households estimating for the first time, helped make up most of a $25,000 reduction from four households who died or moved this year. A huge thank you goes to everyone who supports UUMC with their financial giving and all contributions. The 2018 budgeting process is underway at the church. At their December 4 meeting, the Leadership Team will review a draft budget and, either then or at a later date in the month, approve a final budget; the meeting starts at 7:00 pm in the library and church members are welcome to attend. When approved, a budget summary will be presented to the congregation. If you have any questions, please contact Dan Barrett (314-459-3954), Lay Leader and Chair of the Leadership Team. The UUMC Leadership Team (LT) held a regular meeting on September 7. This twelve-member team plus the pastor handles the church’s administrative functions (finance, buildings and grounds, and staff-parish relations) plus the overall planning, visioning, and mission fulfillment for UUMC. Rev. Diane led an interactive learning session to understand the RACI approach that can be used for each significant action by our church to determine who is Responsible, who is Accountable, who should be Consulted, and who should be Informed as the action is developed and always before it is finalized. Tell our story within and outside the walls of the church. Use personal gifts, financial and facility resources for achieving the greatest good. This includes review and recommendations of long-term directions for church property and investments. Discover and use gifts for social justice. Promote newly developed discipleship path and roll it out to the whole congregation. The conversion from Church Windows to QuickBooks software is nearing an end for the ongoing UUMC accounting and financial reporting. One conversion highlight is that we are now using Commerce Bank’s free, online banking process to generate the church’s checks to eliminate UUMC expenses including postage. The LT voted to increase the funding from the church’s memorial fund to help pay for the nearly-finalized, new exterior UUMC sign at the corner of Washington and Trinity; other funding came from members’ contributions and a grant from the Missouri United Methodist Foundation. October 12 is the next regular meeting of the Leadership Team from 7:00-9:00 pm in the church library. These meetings are open to all UUMC members. Please contact Dan Barrett, Lay Leader and LT Chair (314-726-2509) if you have any questions. Our church is good at… inviting! Each month we’re challenging ourselves to take one step forward in talking about our faith. This month we’re using the phrase “My church is good at…” in conversation and social media as we invite people to University UMC. Our church is good at… mission and social justice! We will advocate, care, and serve in 2017-2018 as we launch our first annual mission and justice theme: A Healthier STL! Our church is good at… focusing! This year we moved to a simplified board leadership structure. The Leadership Team will focus on the big picture for the church—setting goals, strategic direction, and policy—as we align our ministry and administration with our vision and values. Our church is good at… generosity! Your gifts help us invite and welcome people to mission justice. Please review your attached giving statement for the first eight months of 2017. Contact Elizabeth Coker at with questions or corrections. Our church is good at…. taking next steps! We’re good at many things. One thing we’re good at is taking each challenge as it comes. This year’s stewardship campaign is vital for the health of University United Methodist Church. We anticipate a loss of over 8% (about $25,000) in giving in 2018 due to deaths and moves of beloved members in 2017. We are grateful for the people who have supported University UMC in the past, and we want to continue their legacy. § If you are one of the ten households who regularly give between $500 and $1,000 per year, would you prayerfully consider giving an additional $10 per month? § If you are one of the thirty households who give between $1,000 and $5,000 per year, would you prayerfully consider giving an additional $50 per month? § If you are one of the twenty households who give over $5,000 per year, would you prayerfully consider giving an extra $100 per month? Our individual decisions to grow in giving will have a big impact on the life of the community. On Sunday, October 1, 2017, we will have a special worship service when we indicate our financial commitments on Estimate of Giving cards for 2018. Estimate of Giving cards will be available on Celebrate Giving! Sunday, and you will have time to fill one out during worship. Every worship participant who completes an Estimate of Giving card will do so voluntarily and in such a way that no one feels personal embarrassment if he or she chooses not to fill out a card. The cards include ways to celebrate non-financial gifts as well. After Celebrate Giving! Sunday, the Leadership Team will construct a budget for 2018 based on your generosity. We hope to continue the legacy of what our church is good at --- inviting, welcoming, mission, and social justice --- through each of us growing our giving. In 2015, the Mission and Social Justice Team articulated a vision of encouraging our congregation to build a missional life. We created a brochure and mission fair to help congregants identify opportunities and provide contact names and more information about the organizations we support. We said at the time, "Supporting mission is more than just 'throwing money at an issue,' although that is important. We want to provide opportunities for small groups to put 'boots on the ground.' …Participating in God's mission (missio Dei) through mission and social justice activities is an expectation for all church members. We desire to quickly and easily help newcomers to University UMC participate in mission. Mission is a form of spiritual formation in small groups and social justice is tied to mission/service." By January 2017, the Mission & Social Justice Team still wanted to grow congregational participation in volunteer, feet on the ground, service. While, as a Team, we will continue to do all we can to support individuals in their service to the organizations and activities to which they feel called, we wanted to focus UUMC’s efforts in order to meet the goal of encouraging fellowship and building community through service and social justice. Therefore, we set the following goal: Choose 3-4 organizations/projects to invest in more heavily in a top-down, institutional way in order to encourage UUMC congregants to come together around these organizations and their work. Does the project/organization present an opportunity for long-term engagement for a significant number of congregants (i.e. more than 1-2 people)? Are there short-term ways that individuals can become involved in the long-term projects? Will it build community within the congregation? Is there a potential for the relationship to be mutually transformative? What would need to be in place to realize that potential? I.e. money, time, education, trips, etc. Can the church reasonably sustain the project/involvement with the organization for many years? Is this accessible to all ages, nations, and races? 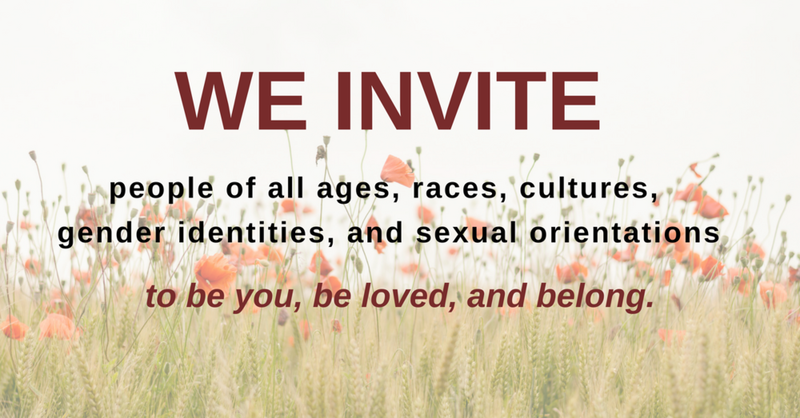 Will it help us live into our mission, vision, and values of growing as an intergenerational, multicultural congregation? Does this project follow best practices for mission, service, and justice? For example, does this avoid creating dependency? Does it reject colonialist, hierarchical assumptions? Does it focus on needs or gifts? We read and discussed Toxic Charity to learn more about some of these pitfalls. Does this project have a champion, someone who will enthusiastically lead and share about the project? In order to orient UUMC to this new approach, various Team members and people who work with these organizations have been highlighting their activities over the last couple of months. This will continue in May as we highlight the work of SHED and in June when we will discuss HPES. Stay tuned for further announcements about all of these and how to get involved! Last but not least, the Team has decided to initiate a new year-long theme to unite service activities and learning across age groups in the congregation. We will introduce a new theme each August, which will then run through the academic year. Around the theme we will have a sermon series, youth and adult Sunday school classes, and all-age service days, for example. The overarching goal is to, every three years, cycle through themes that are local, national, and international. In future years, around March or April, we will ask the congregation for other theme ideas. Future themes might be centered around topics such as restorative justice, food security and climate change, gender equity, or access to education around the world. The theme for 2017-18 will be “A Healthier St. Louis” and will include a focus on the many ways in which we can work towards building a St. Louis community that is healthier and more just for all its residents. Also, be sure to check out the Team’s bulletin board in the Fellowship Hall for more updates and information. Some of the current Leadership Council and Administrative Team members will continue on the new Leadership Team if they are in the middle of their three-year term. The UUMC Nominations and Leadership Development Team will be prayerfully identifying and contacting members to fill any vacancies on the Leadership Team and the larger sub-teams for the Staff-Parish, Finance, Trustees, and Technology areas. If you have any questions about this change, please contact Rev. Diane (314-309-0442) or Dan Barrett (314-726-2509). On December 15, the UUMC Leadership Council approved the 2017 budget for UUMC. This is one of the annual responsibilities of the Council which is the strategic planning and final approval body of the church comprised of one member of each administrative and ministry team plus other key positions in the church. The budget represents expected income of $334,700, expenses of $337,681, and thus would require nearly $3000 more income if actual income and expenses exactly match the budget. A small budgeted deficit is minor. Our problem is that budget shortfall will increase by several thousand dollars in the next few years because of known reductions in current giving unless UUMC brings in more income or slashes staff or ministries. There is a direct correlation between the number of church members and giving. The bottom line is UUMC needs more members to avoid unpleasant outcomes. We are fortunate that the active members measured by church worship attendance has stabilized at 96 per week for both the 2015 and 2016 calendar years after steadily dropping from 126 in 2011. The Council does not have all the answers to growing the church but that team will continue to address the issue. Your input is welcome and needed. Please direct those ideas to Rev. Diane (314-309-0442 or revdiane@university umc.com), Dan Barrett, Lay Leader Administrative Focus (314-459-3954 or danwbarrett@yahoo.com), or attend the UUMC Visioning Retreat (January 14, 2017 from 9:00 am – Noon). Details on the retreat will be provided in the near future. In August, the UUMC Leadership Council adopted the following church priorities for the period of July 2016 through June 2017. The LC is the strategic planning and final approval body of the church comprised of one member of each administrative and ministry team plus other key positions in the church. Establish memorandum of understanding with UUMC Preschool for Leadership Council approval. Responsibility: Task Force that started last year. Continue transparency with whole congregation. Responsibility: All church leaders. Emphasis on communicating: Budget preparation, financial issues and process changes, membership trends, minutes of meetings (Book of Minutes in UUMC library), church policies, and upcoming actions before finalized. Note: “Reconciling Ministries” is a 1980’s United Methodist term which basically means making churches and individuals open to people of any sexual orientation (lesbian, gay, bi-sexual, transgender, and queer, LGBTQ, or gay community). Any church member is welcome to attend the UUMC Leadership Council (LC) meeting on December 15, when the 2017 budget for the church will be reviewed and likely approved. The meeting starts at 7:00 pm in the church library. On December 8, the UUMC Administrative Team (AT) recommended that the LC approve the budget that the AT prepared. The budget represents income of $334,700, expenses of $337,431, and thus would require $2,731 more income if actual expenses exactly match the budget. The budget is for the 2017 calendar year. Earlier this year, the LC changed future budget years to start on January 1 rather than running from September 1 – August 31 of each year. The LC is the strategic planning and final approval body of the church comprised of one member of each administrative and ministry team plus other key positions in the church. The UUMC Administrative Team (AT) met on December 8. The AT handles the UUMC functions related to buildings and grounds, personnel, and financial matters with our vision of growing as a church for all cultures, all nations, and all ages. The AT has two primary goals from July 2016 through June 2017. In January, the review will start by the Finance and Trustees sub-teams on the long-term needs and financial requirements of UUMC for proper maintenance and upkeep of the church and grounds. The second goal is moving forward by a task force to prepare a memorandum-of-understanding to define the on-going relationship of UUMC and the UUMC Pre-school focusing on liability, expenses, income, relation to mission, vision, & values, and University City outreach. In early 2017, the church’s financial processing and accounting will convert to a new software system. Parallel processing has been occurring for some time. Reduced processing time and improved reporting will result. We started the discussion on a possible, revised leadership structure for the current Administrative Team and Leadership Council; the Ministry Team structure might not be affected. Much more discussion will follow. The group had received a draft 2017 budget for all operations and ministries of UUMC which was developed from the Estimates of Giving and requests from all budget areas of the church. A motion passed unanimously to recommend that the Leadership Council approve the $337,431 budget at their December 15 meeting which would need $2,731 more income if actual expenses exactly matched the budget. The next AT meeting will on February 23, 2017. Our annual charge conference meeting will be held on Thursday, October 27, 2016 at 7pm at Salem-Ladue United Methodist Church. Charge Conference is the official, yearly meeting of a local church under the direction of the district superintendent. Charge conferences are required to sell church property, elect new leaders, and establish a pastoral housing allowance --- things we have already done this year! This final charge conference will affirm the nominations report and pastoral salary, approve the membership audit (including reviewing active/inactive members), and receive the trustee report, staff-parish report, and pastoral continuing education report. It will also include a time of intentional learning. Voting members of the charge conference are the people elected to Leadership Council. All of our church meetings (except for those dealing with personnel matters) are open meetings, so all are welcome to observe. You're invited to borrow books from the newly reorganized UUMC library! The Library the room to the north of Fellowship Hall. With the help of Bonnie Jacobs, a retired United Methodist pastor, the books on the shelves were reviewed and culled. Those discarded were either sold to a used bookstore or donated to Goodwill. The remaining library books are arranged on the shelves by Dewey Decimal number. A blue vinyl binder with listings of the books in the Library by Title, Author and Dewey Decimal number may be found on the library counter. Borrowing of books from the Library is on the honor system. Please return the borrowed book to the counter –or in proper order on the shelves when you are finished with it. Special thanks to Bonnie, Rev. Diane, Donna Carey and Jamie Emery for their invaluable professional advice and to Cindy Mitchell for envisioning this project and carrying it to fruition. Donations to the library are encouraged with the caveat that inclusion of books donated is subject to review. Books donated and not placed in the library will be given to Goodwill. The parsonage has been sold. The sale price was $357,500 which netted UUMC $339,292.23. The original signed contract was for $400,000, with an appraised value of the house of $385,000. House inspections revealed 5 major problems. The sewer line was cracked underneath the basement floor. Rebar had been exposed and rusted in the concrete floor of the house. The electrical mast bringing power into the house had chafed wiring and needed repair. The shingles and gutters on the house were past their life expectancy and in need of replacement. The biggest item was structural deficiencies in the roof that had led to cracked and sagging major support members. The trustees agreed that the buyer’s request for compensation for these items should be granted. A midpoint of bids for the items was calculated to be $42,500. The Parsonage would be sold ‘as is’ with cash compensation to the buyer to make the repairs. However, the original buyer lost his job during the final stages of loan negotiation so the loan agreement could not be granted. Our realtor contacted a company that renovates old homes and resells them. They were willing either to assume the contract or offer us a cash settlement of $357,500 which would net us the same amount as the final contract. The trustees agreed to take the cash, ‘as is’ offer from TPA Investments, LLC. This company will fix all of the needed items, update the kitchen and bath, and make other improvements. The proceeds from the sale will be placed in an investment account with the Missouri United Methodist Foundation. The trustees used a historically conservative earnings estimate for this account of 3% which will provide $10,180 towards the pastor’s housing allowance. UUMC’s current annual budget already includes $8000 for parsonage expenses. These two combined will cover the proposed $17,500 annual pastor’s housing allowance with a little to spare. The housing allowance allows our pastor the freedom to choose where she lives and the opportunity to build equity in a home throughout her career. The trustees are now freed from the ever increasing tasks of maintaining the parsonage and can now concentrate on our church building. We are also no longer at risk of surprise parsonage expenses which just in the last three years have totaled over $10,000 that was not in our annual budget. After several months of intensive work on the parsonage, all the trustees agreed that there was ample opportunity for a steady stream of more surprises. Thank you all for your encouragement throughout this process. The trustees are very happy to have the sale behind us and look forward to serving all of you in a much more visible and productive manner. This year we are holding more charge conferences than usual. These multiple charge conferences are occurring as we sell the parsonage, elect new leaders, establish a pastoral housing allowance, and complete required denominational paperwork. Normally we will only have one charge conference in the summer to elect leaders and one charge conference in the fall to do the official business of the church! When this meeting is convened as a "church conference," then all professing members of the church are eligible to vote. When it is called as a "Charge conference," then voting members are those persons elected to leadership council. All of our church meetings, however, except for those dealing with personnel matters, are open meetings. Anyone may come. In May we held a church conference to authorize the Trustees to sell the parsonage. You can read the minutes of that decision here. On Thursday, August 4, the Leadership Council will meet for the first time in the 2016-2017 leadership year. At 7 PM, they will convene as a charge conference in order to elect members of the leadership council, administrative team, ministry team, and nominations and leadership development team. Following the election of 2016-2017 leaders, the charge conference will adjourn, and the Leadership Council will hold their first meeting of the new year. The leadership slate will be published on our website in the coming weeks. Our third charge conference of the year will be held at 8:45 AM on Sunday, August 21, in the library. We will approve the new pastoral support form, which will have a housing allowance instead of a parsonage. Copies of the proposed salary/housing sheet Will be available following the August 11 administrative team meeting. This housing allowance will go into effect on September 1. The final charge conference of the year will be on Thursday, October 27. This charge conference will complete the remaining required reports and actions for the denomination, including reviewing active/inactive members. Q: Is there a firm figure for the housing allowance? A: There is not a firm figure yet, but it will be around $18,000 a year. Rev. Harvey clarified that today’s vote was only on selling. There will be another conference on the housing allowance which is part of the pastor’s overall compensation package. Q: Will the house be sold “as is”? A: The trustees are doing some essential maintenance and some cosmetic improvements, but there is no plan to do any major projects prior to selling the parsonage. Q: Are there restrictions on proceeds? A: Yes. They will go to into a United Methodist Foundation Fund Trust account. Earnings from this account will help fund the housing allowance. The intent is to leave a portion of each years earnings in the account to provide at least a partial shield against inflation. Q: Is there a sense of how the housing market is now? Of what the house is worth? A: The market is very brisk right now. The initial goal is to clear $400,000 after all expenses have been paid. Q: Is it possible that trustees have a fiduciary duty to get an appraisal and do not have a choice in this? Subsequent comments indicated that the trustees did in fact have a fiduciary responsibility to get an appraisal. A: All three trustees agreed in the presence of the Charge Conference to get an appraisal prior to entering into any contract on the parsonage. Q: Can an amendment be made to the motion to require an appraisal? A: Rev. Harvey says an amendment cannot be made to the motion. He also added thatit appeared the trustees had agreed to get an appraisal. Q: There was a comment about home ownership being good for couples and a question about what our pastor’s preference was? A: Rev. Diane said that she would be ecstatic to have a housing allowance. Rev. Harvey said that the vote would be a hand vote, unless anyone was opposed. There was no opposition. The motion was read again. The vote was taken. All who voted were in favor of the motion. No one voted against it. A few members chose to abstain. The attendance list of forty-eight (48) of professing members is on file in the church's records. Rev. Harvey thanked the congregation and Rev. Diane closed the meeting with a prayer. Minutes approved by electronic ballot by Leadership Council on July 18, 2016.